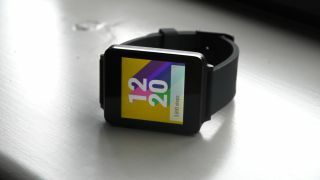 The LG G Watch - lacking Wi-Fi. Google is rolling out a major update for Android Wear that, among other features, lets smartwatches latch on to Wi-Fi networks without a phone connection - that means you can update apps, send messages and more without your mobile. However, not all of the seven Android Wear watches currently on sale can take advantage of this Wi-Fi freedom - according to representatives from each company, the LG G Watch, LG G Watch R and the Asus ZenWatch are going to miss out. Together with the Samsung Gear Live, the LG G Watch was one of the first Android Wear watches to go on sale (with the Moto 360 arriving shortly after). However, it appears that getting to the market first has meant compromising in terms of internal components. The G Watch R is essentially the same watch with a circular design. As for the other Android Wear watches on the market, it looks like they all have the necessary internal circuitry to get online via Wi-Fi. Both Motorola (for the Moto 360) and Sony (for the Sony Smartwatch 3) have confirmed as much on their official blogs. LG's latest Android Wear watch, the LG Watch Urbane, is definitely in line for a Wi-Fi boost - it's actually mentioned in Google's official blog post on the Android Wear update. That leaves the Samsung Gear Live, which launched at the same time as the LG G Watch. We're waiting to hear back from Samsung, but based on a comprehensive Gear Live teardown it looks like the necessary Wi-Fi components are included. We'll update this article if we get official confirmation.